If remove from the view admin console does not clear out the above entries within 30 min. 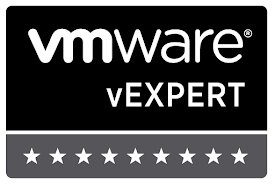 – 1 hour, the steps in this KB from VMWare can assist in clearing out the those stale entries. Somebody posed this question in the vmware communities forum. I figured out how to do it cheating w/ Onyx. Not sure why this is needed (since I don’t use iSCSI much), but figure it’s best I post this for reference if I or anyone needs to do this particular task. #This section sets the option you want. #This section applies the options above to the host you got the information from. You can have this script run against multiple ESX servers, but you will need to use the Foreach-Object cmdlet. This was more of an annoyance for me, but essentially I had two NFS datastores that were mapped incorrectly to some ESX hosts. Those datastores were unmounted and remounted w/ correct pathing using PowerCLI. However, one host ‘seemed’ to hold onto the incorrectly mapped one. This was only reflected in vCenter, not the host itself. Connecting directly to the ESX host does not show these ‘inactive’ nfs datastores. esxcfg-nas –l within TSM/SC on the ESX host does not show these ‘inactive’ datastores. Connect ESX host to vCenter. This seems to help vCenter resolve the display issue. For help on similar NFS issues, this search seemed helpful. Upgrading to VSI 4.1 is fairly painless if you followed my last post on 3.0.1. You still have to do a couple things for it to work though. VSI Installed on server system. Reference last post for install instructions. Overall same process. Record IP's, username's, and passwords of your array connections. Upgrade the version on your server and upgrade the version on your system. This works in conjunction w/ VMWare SRM.